The blogging and shooting world is small, it seems. When we lose one, it affects all of us who knew him. The ripples of the announcement continues to spread: Frank James has left us. Who is Frank James? He was an Indiana farmer, a blogger, shooter, gun writer, consultant and contributor to several gun magazines and outdoor TV shows, and death to feral hogs. He was also a true gentleman, husband and father…and a friend to almost everyone he met. My wife and I first met him at a gathering of Indy area bloggers. Frank sat across from me at a long table and we talked for quite some time. Frank was a crop farmer. As a gift to those at the gathering, he filled the back of his pickup with freshly picked corn. Mrs. Crucis brought home a full bag of corn. Frank was generous with the product of his labor. I met Frank a few times after that. The last was at the St. Louis NRA convention. Frank and I, bloggers both, had media credentials. We met again during a break in the media room. Frank talked about his latest muscle-car, one that he’d driven to St Louis from his farm in northern Indiana. Some time later, I heard that Frank had suffered a severe stroke. Followup reports indicated that he was recovering albeit slowly. Then I saw this notice, shared on FB by some mutual friends of Frank. 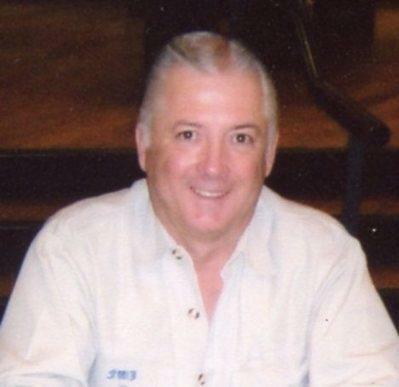 Frank W. James, 69, of Wolcott, passed away at 7:34 p.m. Tuesday, September 15, 2015 at his home surrounded by his family. He was born April 24, 1946 in Lafayette to the late Harold “Pete” and Ruth Irene (Wurzbacher) James and was a 1964 graduate of Remington High School. He graduated from Purdue University with a degree in Agricultural Economics in 1968. His marriage was to Cathy Gudeman on January 22, 1977 in the Wolcott Christian Church; she survives. Frank published thousands of articles over seven countries during his career as a writer. He published five books and was awarded the Anschutz Outstanding Writer of The Year Award in 1994. He was an expert outdoorsman with a passion for adventure and travel. He also owned and operated farms in the White County area for over 45 years. Frank created the White County Shooting Sports 4H Program and hosted Davidson’s Gallery of Guns on the Sportsman Channel as well as appearing on Gun Stories that airs on The Outdoor Channel. He was an active shooting competitor, having shot in The Masters International Tournaments and USPSA (IPSC) competitions. He and his wife were longtime members of Palestine Christian Church and he also served on the Wolcott Library Board for several years. Goodbye, Frank. Feral hogs in Texas still fear you. This entry was posted in Blogger Friends, Bloggers by Crucis. Bookmark the permalink.